Linda does a little bit of everything at both of our locations, including payroll, new patient estimates, filing insurance, billing, and collections. 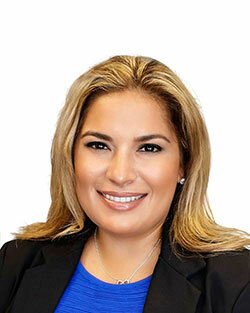 She has many years of experience as the administrator for Dr. Medina, having started here in 2002. Linda loves meeting new patients and welcoming them into their orthodontic family. Linda and Hector have been married since 2000. They have three beautiful girls who are competitive swimmers, so most of their free time is spent at the pool and traveling to swim meets. Linda does find time for gourmet cooking, baking, and entertaining friends and family. The family also has four dogs that enjoy trips outdoors and to the park. Sylvia joined Dr. Medina's team in 2012. 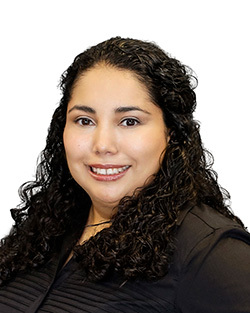 She received her dental assistant registration in 2004 from San Antonio College of Medical and Dental Assisting and has been in the dental field since then. Sylvia assists Dr. Medina during orthodontic adjustments. Her goal is to make patients feel as comfortable as possible during their orthodontic appointments, and loves seeing their beautiful, new smiles when treatment is complete. When she’s not in the office, Sylvia loves spending time with family and friends, trying new places to eat and mingle. 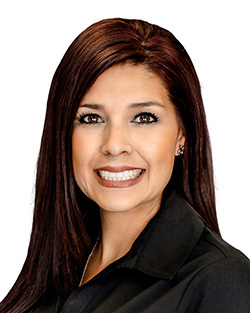 Michelle has been a registered dental assistant for more than eight years now. She joined our team in 2015. Her sweet and funny disposition help the patients feel at ease. Michelle takes care of our patients’ orthodontic adjustments, their oral hygiene, and provides plaque control instructions. In her free time, Michelle enjoys exercising by running outdoors and spending time with family and friends. 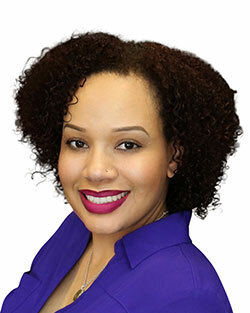 She is originally from West Texas and made the adventurous move to San Antonio in 2008 with her husband and three children Charisma, Autumn, and Chaseton. Talia attended Diablo Valley College in Pleasant Hill, CA and graduated from the dental assisting program in 2008. As one of our assistants, she creates a positive atmosphere for our patients while ensuring that they receive quality care. Talia finds so much joy in seeing the beautiful smiles that we create and the relationships that are built over the course of treatment. She shares with our team a desire and passion for our patients. Talia has been married to her husband Robert for nine years, and they have three beautiful children together. They enjoy spending time together, going to the park, movies, and amusement parks. They also attend Calvary Chapel regularly and love their fellowship with their church family. 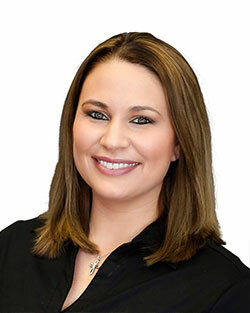 Tamra graduated from San Antonio Collage of Medical & Dental in 2002 as a Registered Dental Assistant and with a degree in radiology. Since then, she has worked in general dentistry and pediatric dentistry, finally finding her home in orthodontics with Dr. Medina in 2006. Tamra meets and greets patients, sets up appointments, and verifies insurance, in addition to assisting Dr. Medina on occasion. She has a front row seat to our patients’ exciting smile transformations. Tamra is the mother of three teenage girls. Her husband is a youth and semi-pro football coach, so on the weekends, you will find the family at games or relaxing at the lake with family and friends. 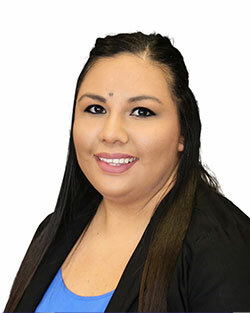 Melissa always greets patients with a smile and answers any questions they may have before seeing the doctor. She schedules our patients’ follow-up appointments and works as much as she can with their schedule to find the date that works best for them. Melissa loves to see all of our patients’ beautiful smiles and how happy they are after their braces have been removed. Melissa is the proud mom of two handsome sons Jacob and Seth, and a beautiful stepdaughter Tori. In her spare time, Melissa enjoys having fun and spending time with family and friends outside. Cori began working in the dental field in 2003, spending time in pediatric dentistry and oral surgery before joining Dr. Medina in 2015. 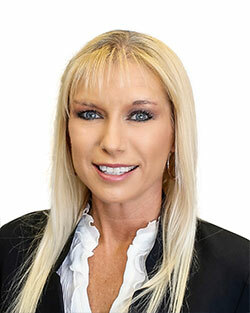 In addition to assisting at chairside and creating financial plans, Cori also works with the doctors to come up with best treatment plan for each patient. Meeting new people and helping change their lives is what puts a smile on Cori’s face each and every day. Cori and her husband Jeff have been married since 2015. They welcomed a beautiful daughter a year later and bought their first home three months after that. Although she doesn’t have much free time, Cori does enjoy hiking, exercising, and shopping with her daughter.